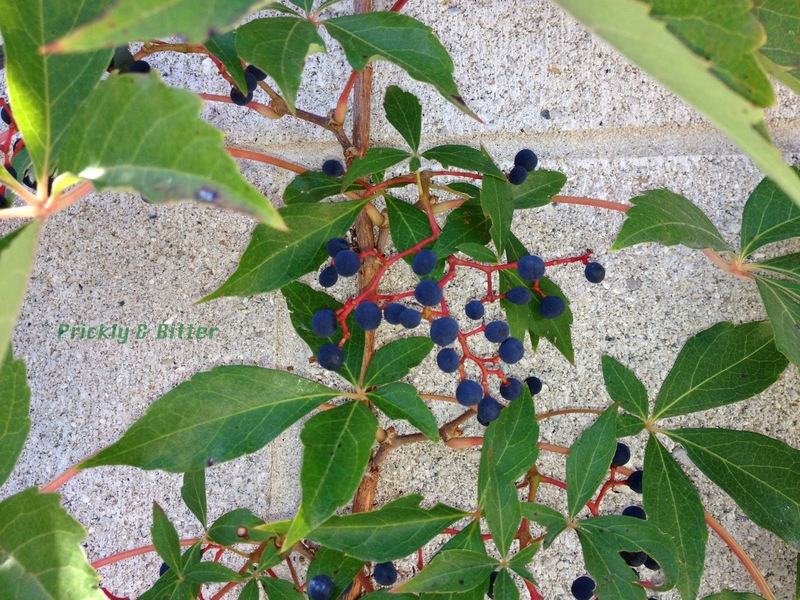 As promised in my last blog, this post is about the "other" common vine with blackish-blue berries common, and native, to this area: Virginia creeper. Many people are actually surprised to learn that this species is native, as we don't often associate native species as being potentially invasive species. 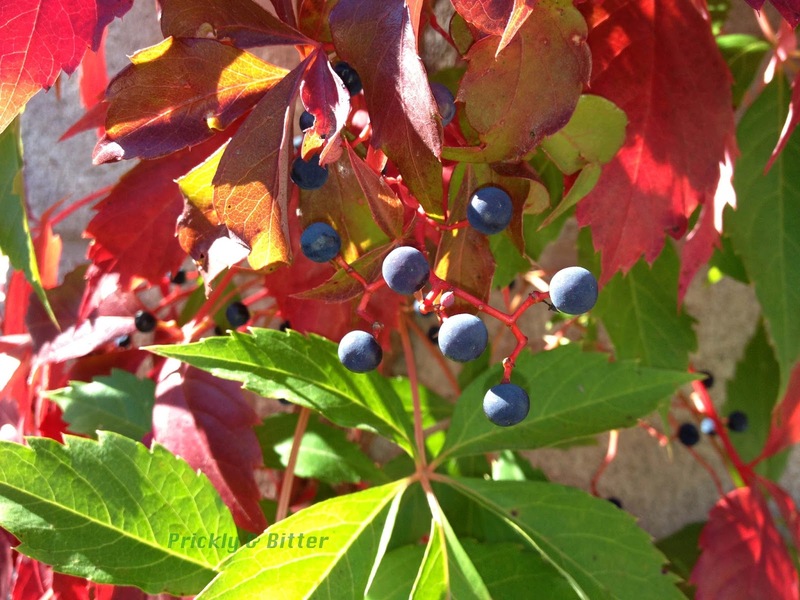 Anyone who has ever grown Virginia creeper in their garden under ideal conditions knows it will absolutely explode in growth and smother out anything in its path; a rather unfortunate characteristic since I like to encourage gardening with native species! 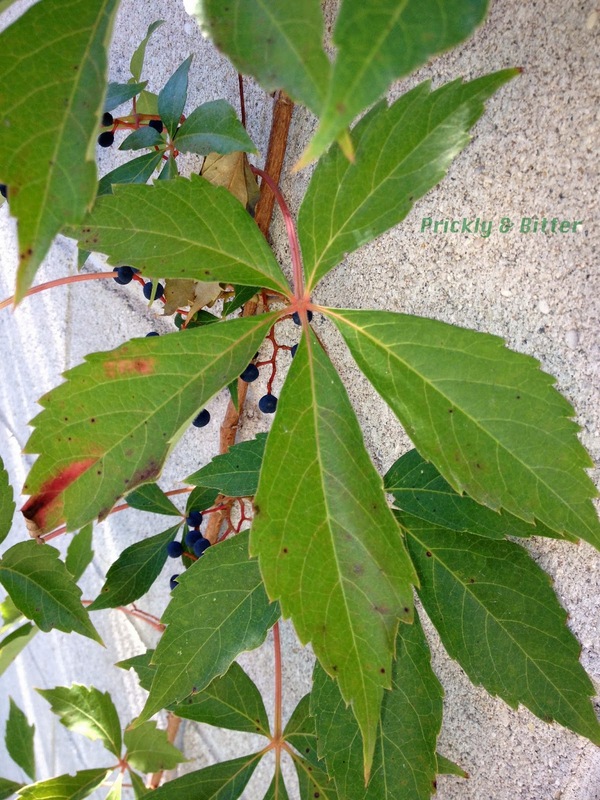 Fortunately, Virginia creeper isn't as vigorous as grower as periwinkle or kudzu, so when you go to bed one night and wake up the next morning your house won't be covered in it (that has never actually happened, but at times it sure feels like both of those plants could grow that fast). The Virginia creeper vine is native to eastern North America, and its native range extends from Quebec and Ontario south to Texas and Alabama. There's a bit of an argument about whether or not its native range is also extending into northeastern Mexico (a few botanists believe it to be either introduced or a different species, depending on who you ask). All of that being said, Virginia creeper can be a nasty plant in its own right. The whole plant contains oxalic acid, which can be a very potent skin irritant to some people (and those with sensitive skin to other plant-based toxins, especially rhubarb juice, are most likely to be affected). The berries also contain very high levels of oxalic acid and so should not be eaten. Rarely will they cause any type of major problem other than intense intestinal discomfort, but if children confuse them for grapes and eat a lot of them there could be severe consequences. The oxalic acid crystals are sharp enough to perforate mucous membranes, and so severe internal bleeding can result after ingesting significant amounts. As with many toxic plants, a hot-water infusion made from the fruits (most of the time, but sometimes also the leaves) of this plant were used by Native North Americans as a treatment for heart conditions, diarrhea, prostate disease (or other diseases or disorders that might cause difficulty or painful urination), and joint swelling due to (most often) rheumatoid arthritis. No clinical trials have ever been set up to determine if the plant can be effective against any of these conditions, but the possibility is there. Aside from its traditional medicinal use, this plant is becoming more and more popular as a garden ornamental species. It is very successful in full sun, and does a great job of climbing up buildings to act as insulation from the sun (and so is especially successful on south-facing walls). Fortunately for homeowners using this plant in landscaping, it (like Boston Ivy but unlike English Ivy) produces sticky knobs to attach itself to a substrate (like your brick wall on your house). English Ivy, that nasty little vine, produces penetrating roots that worm their way right into the mortar between the bricks in order to anchor itself. 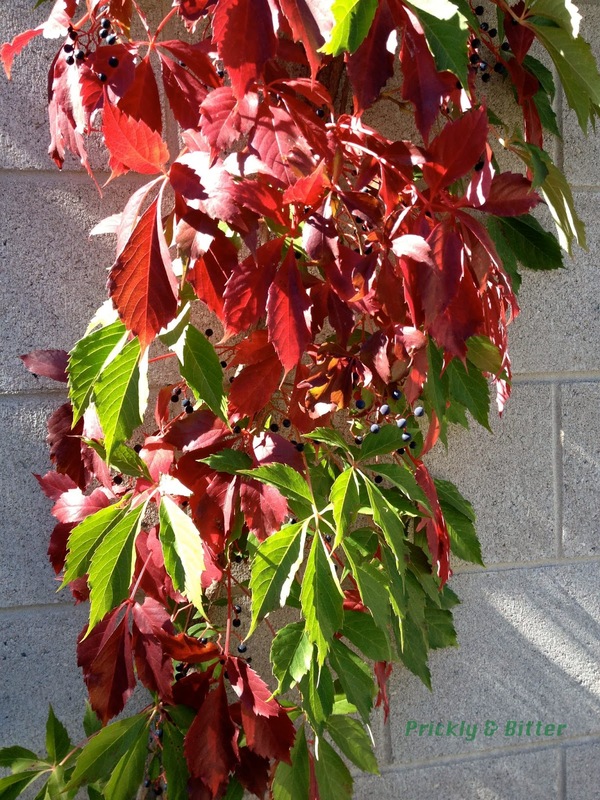 This means that Virginia creeper is a much less destructive plant to grow on the side of your house. There's always a catch to all things that sound to good to be true, isn't there?! The catch for this plant is that removing adhesive knobs can still be quite a labour-intensive process because pulling the live plant from the wall will still rip out small pieces of brick and mortar along with the adhesive knobs. If, however, you cut the plant at the base (either at ground-level for complete removal or just a branch here and there for trimming purposes) and let the plant wither and die on the house, it can be removed once brown with no damage at all (the adhesive knobs have to be alive to be adhesive!). It's like magic! 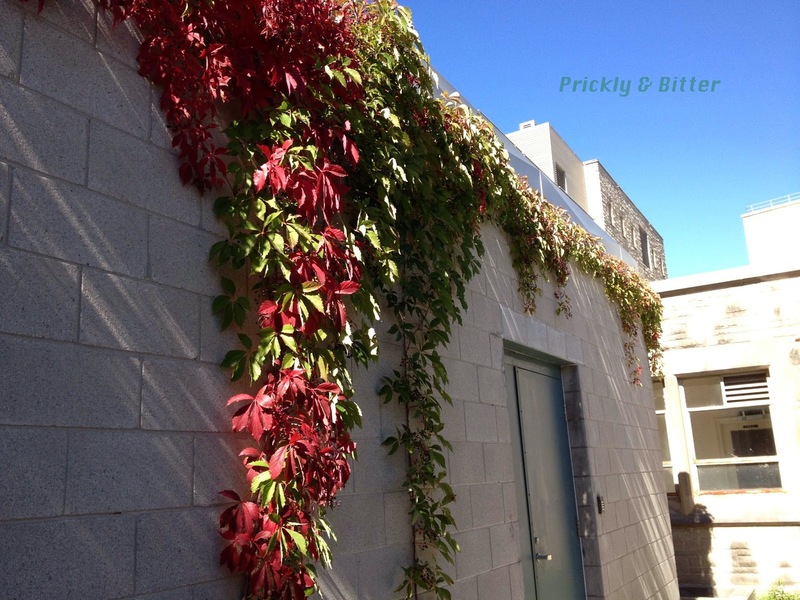 The only downside is that Virginia creeper vines do lose their leaves in the fall (but not before turning a BRILLIANT shade of red first), so you don't get the same kind of winter insulation as you do with English ivy. But for the cost of having to re-brick the side of your house...I think the substitution is worth it!